Exercise Tips for Cold Weather. 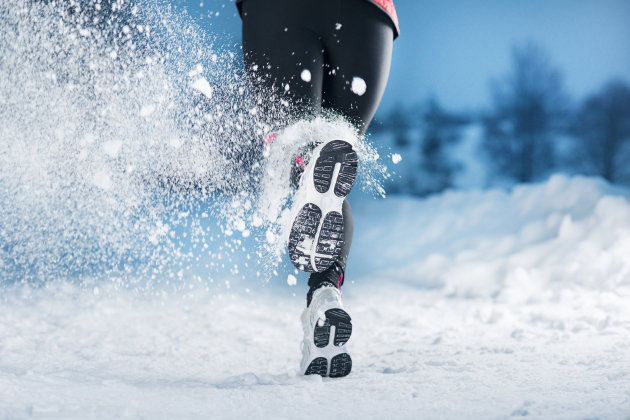 Running in the Winter: Gear and Exercise Tips. Exercising outdoors in late fall and winter comes with a pretty big set of risks, but if you’re prepared for it, you can still do it and get a great workout. Whether you’re jogging, hiking or biking outdoors, here are a few simple ways to get the most out of your exercise without any risks. Try these simple exercise tips for cold weather and you won’t have to stick to indoors exercise in a crowded gym or at home, where you keep getting distracted when you’re working out. In cold weather, gear becomes very important. Layering is a must, but you should also invest in moisture wicking fabrics that keep you comfortable and safe when it’s really cold outside. Gloves are also important when temperatures drop below the freezing point, and you should also invest in special shoes if you’re going to work out in the snow. You should also consider a scarf for wet and windy days if you don’t want to risk frostbite on your face. Reflective clothing is also a must if you’re exercising when it’s dark outside. One of the best exercise tips for cold weather is to make sure that your head is covered, since that’s where you can lose the most body heat. If you’re out jogging in the darker times of day, you should also consider a headlamp. Most weather forecasts offer details about the wind chill index, which you should never ignore when you’re getting ready to work out outdoors. If the “feels like temperature” provided by the wind chill index is too low, you should be extra careful when scheduling your outdoor exercise routine, because a low wind chill index also increased the risk of frostbite. If you’re going jogging, one of the best exercise tips for cold weather is to always take into consideration the direction the wind is blowing. Starting your workout facing the wind and ending it with the wind at your back is the right way to workout outdoors in cold weather. Facing the wind later in your workout, after building up a sweat, will cause your body temperature to drop quickly. Because of the higher risk of injury as opposed to working out in warm weather, warming up becomes even more important. Always start your workout indoors and include a bit of stretching. 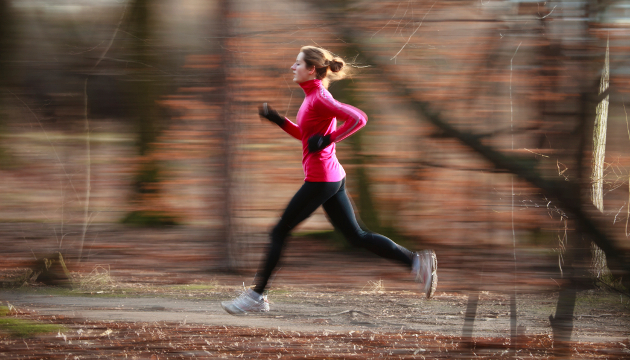 A good warm up for cold weather exercise will raise your heart rate but it won’t get you sweating before heading out. Stick to the best exercise tips for cold weather and don’t start working out in cold weather at the same pace that you would in warmer temperature. You might be overestimating your ability to work out in really cold temperatures, so start reasonably, especially if you took a break from exercise. If you’re jogging, mapping your winter route carefully is very important. You shouldn’t stick to the same route that you use in the summer. Instead, find a loop close to home, so you’ll never be too far from a warm shower if you hurt yourself. Look for well lit streets in order to avoid black ice. If you stay adaptable, you’re using one of the most important exercise tips for cold weather. Once there’s snowfall, running in the morning isn’t a good idea. Instead, wait until midafternoon, when there’s a higher chance that your route will be plowed and the temperatures are reaching their maximum for the day. Even if you feel like you’re sweating a lot less in cold weather, staying hydrated is very important. You should also consider buying a hydration belt or any other system that keeps your water bottle under at least one layer, so you don’t have to drink freezing cold water. More: Why Is it So Hard to Lose Weight form the Hips? Once your workout is complete, there’s one last step in the exercise tips for cold weather you should follow. Get out of the damp clothing right away. If you can’t shower as soon as you get home, simply change into dry and warm clothes in order to avoid your body’s temperature dropping further.